Sayaji Shinde, Mime Gopi, Manobala, Lollu Sabha Swaminathan play supporting roles. A still from the movie Cocktail. After working with a piglet, monkey and dog, it is the turn of a bird to keep Yogi Babu company. Top cinematographer turned producer PG Muthaiah’s next venture is titled Cocktail, which apparently revolves around a bird Cockatiel (Cockatoo) endemic to Australia. Yogi who has a foreign actress as his pair will be seen as a guy who runs a pet salon for dogs. 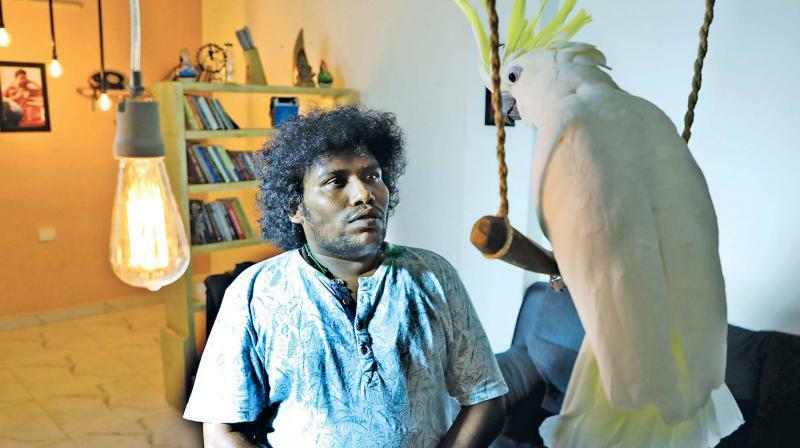 Says director Murugan, “Yogi Babu and his friends inadvertently get involved in a murder case and how they escape the situation with the help of the bird forms the crux. A statue of Lord Murugan also has an important place in the film.” We gave training to the bird for the film, which turns a travel story post-interval, he adds.